Sports Make The World Go Round! In 2017, it is almost impossible not to hear news about some sport from around the world. Events like the Olympics, the World Baseball Classic, and the FIFA World Cup bring hundreds of thousands of fans together to cheer on their home teams. Children are learning to shoot a basketball and throw a football before they are even in preschool. It is clear that sports play an integral role in our society and economy, but how have sports grown so rapidly? With the invention of the internet, fans around the world are able to keep track of their favorite teams. 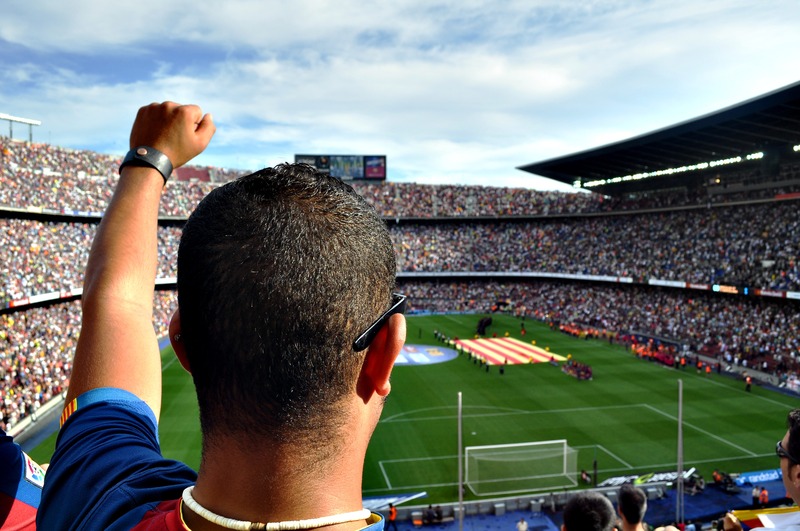 These sports teams, and their fans, are the key to you obtaining a sports writer job. It was the introduction of sports writers that made us feel so emotionally attached to our teams. It is a sports writer’s job to encapsulate all the emotion and imagery of a sporting event into a quick one page editorial for all of the internet to read. All the anecdotes and fun facts you hear that surround your favorite leagues are crafted by the sports writers that love nothing more than watching sports seven days a week. With some hard work and a passion for athletics and competition, you too could supply the world with the sports knowledge it needs. So You Want To Be a Sports Writer? The job of a sports writer can be easy if you enjoy staying up for those extra innings and overtime games in order to keep your readers up to date with the latest sports news. Although the duties of a sports writer can change from market to market, there are a few tasks that are pertinent to the field. If you want perform to your highest abilities, it is imperative to conduct extensive individual research to stay up to date with sports trends and stories. This includes interviewing coaches and players, attending various sporting events, and documenting what is said during press conferences. Editors need to make sure that you have all your bases covered… no pun intended. It is their job to ensure that you meet your deadlines and are prepared to present your content. Some sports writers are lucky enough to be broadcasted on TV or the internet to discuss the daily happenings in the sports word. This can add extra pressure to create and perform a well-rounded presentation. Writers have to provide on the spot commentary and play-by-play announcing in order to captivate the audience watching your program. In order to enter the world of sports journalism, the field requires you to complete a few industry standards. It is customary for a sports writer to have a Bachelor’s degree in journalism, with the option of a minor in sports journalism. In addition to a traditional university degree, many employers like to see applicants that have some type of experience, usually in the form of an internship. A Day in the Life of a Sports Writer! A Sports Writer Job For You! Being a sports writer can be a very demanding job at times. Some writers can work from home, supplying content to a website or sports blog. Other writers travel throughout the country following a certain sports team, breaking up-to-the-second announcements. There are a plethora of inspiring opportunities for sports journalist in today’s digital era. If you have a passion for competition, athletics, and teamwork this is the career for you. All you need to do to get the gears turning, is to write, write, write. Call your local newspaper and talk to an editor or writer to start learning about the basic steps of becoming an accomplished writer. With some hard work and determination, someday you could be the newest addition to Philadelphia SportsNet team. Is a Career in Sales Right For Me?